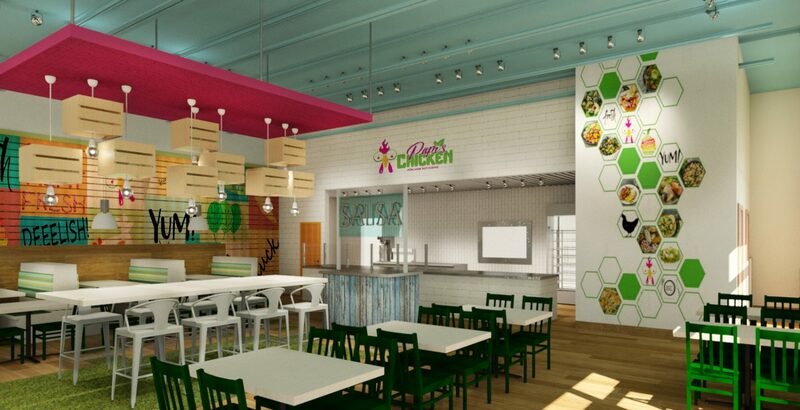 The client contacted our team to assist with a new Peruvian chicken concept. 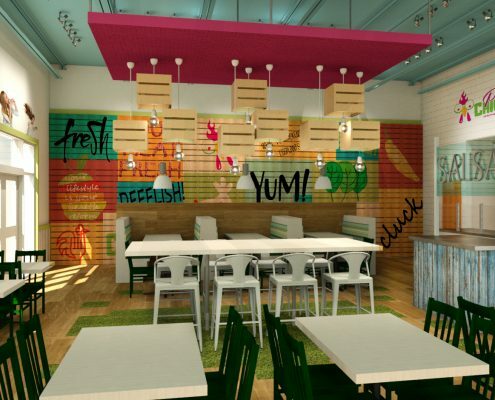 The design encompasses a bright and crisp color palette that reflects the menu’s emphasis on fresh ingredients. 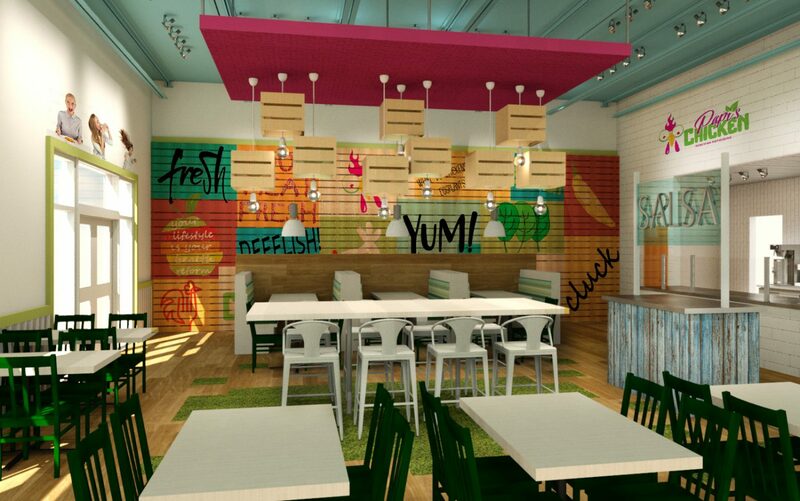 The accent wall is finished with vividly painted shipping pallets and whimsy graphics. 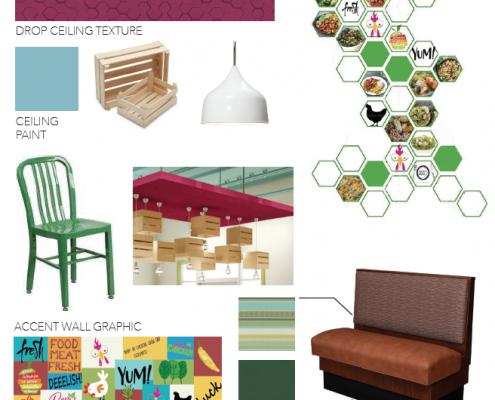 To anchor the dining room, a centrally located community table is placed on large grass graphic tiles. 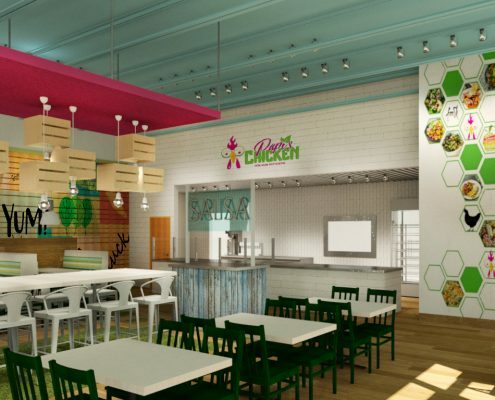 Overhead, vegetable crates serve as pendants under a pink canopy referencing chicken wire. 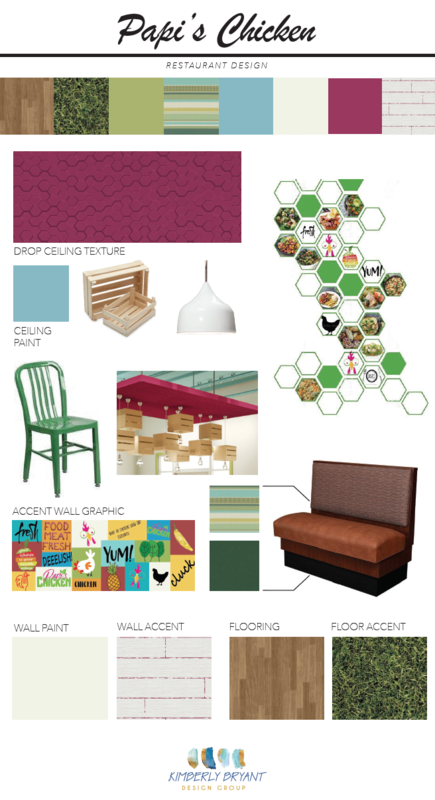 Dark green metal chairs contrast the neutral walls while a mixture of woods and metals compliment the Papi’s Chicken logo. A collage of various images is applied on the wall next to the order counter to showcase the unique menu options.